Renowned photographer Martin Schoeller captured the Americas melting pot perfectly, for the October 125th anniversary issue of National Geographic magazine. You can see a series of faces which become less homogeneous and more diverse. 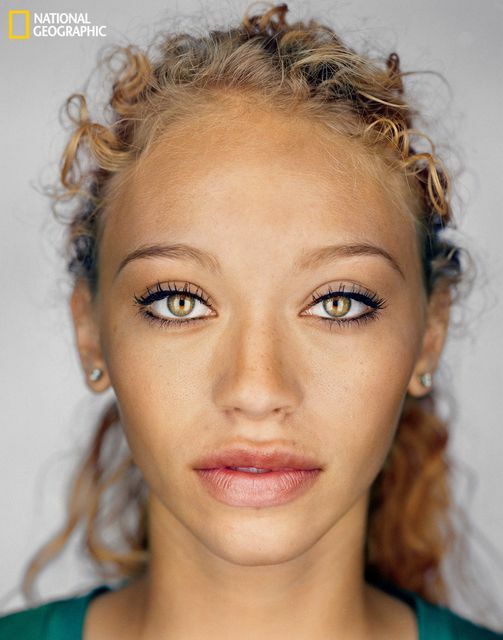 The portraits come with the individual’s 'self ID' and the box he or she checked to indicate race as specified on the 2000 and 2010 census - a powerful reminder of Americans’ complex cultural and racial origins.